April has been selected as the month to promote the awareness of Autism. The incidence for Autism is now 1 in 88 children. 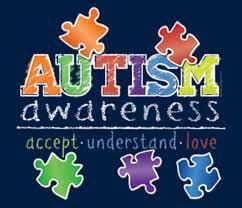 This means that 1 in every 88 children is currently being diagnosed with Autism Spectrum Disorder. For any parent or grandparent who is searching for information about Autism, there are so many resources now both in the form of physical books and online websites. See Related Links for more information on Autism and and other speech conditions.